Inspired by springtime, this gingerbread scene features birds, hares, and blossom trees alongside a house, people and a cat! It seems as though I blinked and suddenly week 2 of GBBO arrived, biscuit week. The 11 bakers were challenged with making a batch of decorated iced biscuits in the signature challenge, Vienesse Whirls (or swirls as I seem to call them) in the technical bake, and a 3D Gingerbread Story in the showstopper challenge. For some years now I’ve been drawn to gingerbread houses during the festive period, but have never taken the plunge to make one myself. So although the Vienesse Swirls looked enticing, my bake, to continue with my efforts in the Great Bloggers Bake Off, hosted by Jenny at Mummy Mishaps, is a Gingerbread Story. Our gingerbread scene leaves behind the depths of winter, with its dark short days, frosts and snow and embraces my favourite season, springtime. Springtime is packed with new life, fresh colours, warmth, anticipation. Birds begin to nest. Hares box. Flowers emerge and burst their buds. Blossom trees and their confetti like petals can be seen almost around every corner. GBBO’s showstopper challenge was to construct a 3D gingerbread story which was at least 30cm tall with at least 8 characters / items. Our gingerbread scene included a house, 2 people (Mr E & I of course), a blossom tree, 3 birds, 2 hares, a bird table and a cat. Most of the shapes were created by tracing around images found in books, though actual cookie cutters were used for the people and cat. This may explain the ‘slight’ issue with scale, the hares are as large as us and we’re too tall for the door! And as for our fur baby, well he is a big cat in real life (though admittedly not quite that big!) The gingerbread house was created from the template found in the back of GBBO’s Showstopper book, which featured James Morton’s Winter Woodland Cottage. Although it doesn’t meet Paul’s exacting brief of being in excess of 30cm tall, it still produces a good sized structure standing over 20cm tall, and is probably a relatively manageable dimension when tackling a gingerbread creation for the first time. During construction numerous tins of tomatoes and beans were removed from the cupboard to provide a little scaffolding and support. It’s probably fair to say that having a second pair of hands available at this point is useful! Being a child of the 70’s when Play School was the programme to watch, starring Gemima, Big Ted, Little Ted and Humpty, I have a fascination of round windows. They’re so much more interesting than regular square or oblong ones. So, our gingerbread house is constructed with 8 round windows! There’s not a straight line in sight as far as the windows are concerned. Being round actually made them easier to construct as the wide end of a piping nozzles were used to remove the unwanted dough. Also, the metal piping nozzles were left in the aparture during the bake to help retain the shape of the window. The windows were dressed with white chocolate drops finished with coloured sprinkles rather than the usual crushed hard boiled sweets. Although I’m really pleased with the result, I had envisaged our blossom tree to take centre stage in the garden having been made from two flat gingerbread trees which, in theory, would lock together through the trunck section creating a further 3D structure. However catastophe happened and the tree snapped. Twice. But the breakage resulted in our springtime gingerbread scene having three blossom trees as opposed to one. 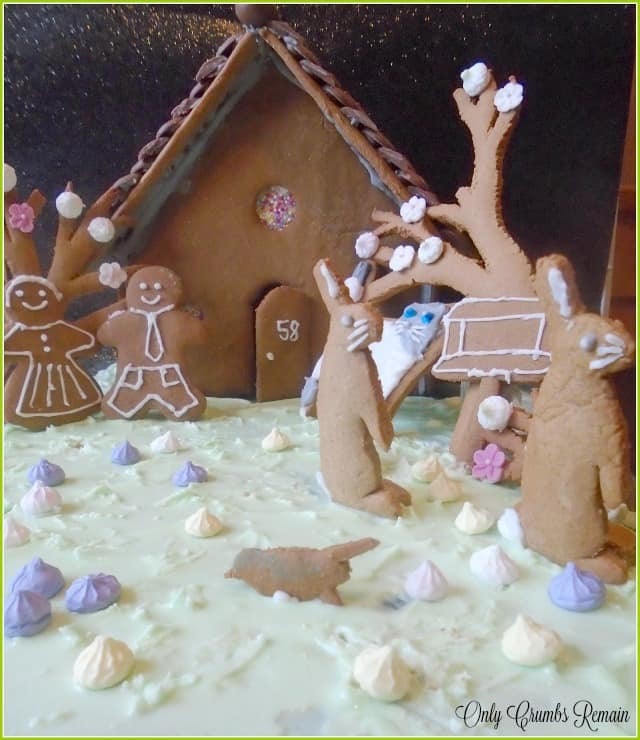 Inspired by springtime, this gingerbread scene features birds, hares and blossom trees alongside a house, people and a cat! a) Our gingerbread house measured 14cm wide x 9cm deep x 20cm tall. We used the template found at the back of GBBO’s ‘Showstopper’ recipe book. b) Ensure the baking tray has returned to room temperature before placing more gingerbread shapes onto it when batch baking. c) Use a fish slice to move the cut out raw gingerbread shapes to the baking tray. You may find a ‘cake lifter’ useful for moving the larger pieces. Alternatively roll out the dough on a piece of greaseproof paper and use that paper to transfer the cut shape(s) to the baking tray. d) Once made liberally cover with clingfil until it is required. Aw don't be scared Stacey, it really won't bite …just bite it back if it does 😉 If you decide to try a gingerbread structure one day, I'd suggest having a few cans to hand and perhaps another pair of hands when you come to constructing it. This though was my very first attempt, so it can't be THAT difficult. Wow! This is amazing Angela, I'm sure Mary and Paul would have been impressed. I use egg in my gingerbread as I prefer it to be a little softer too, every time Paul complained about a lack of snap on the show I felt absolutely convinced that he'd hate mine! I can imagine that it would be more structurally sound if it doesn't have egg though. Looking forward to see what you come up with for bread week. I completely agree Charlotte, I think our blossom tree would have survived had I used an egg-free mixture, though as you say we too prefer a slightly softer gingerbread which no doubt would have raised eye brows from Mary and Paul. 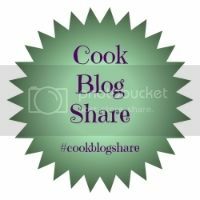 I've not baked for bread week this week – for some reason the bakes just didn't draw me in – though I also have problems kneading the traditional way with my wrists so I think that put me off to start with anyway. 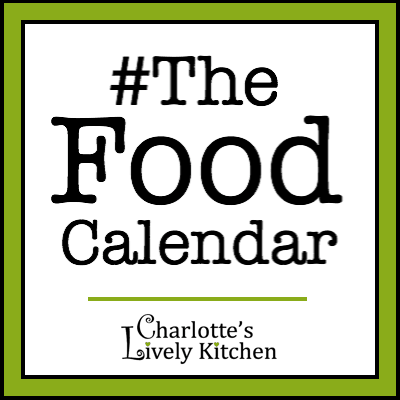 I'm really looking forward to batter week though – bring on those Yorkshire Puddings! Wow – what can I say, what you have created is spectacular! I certainly couldn't leave fur baby out of our gingerbread scene Eb 🙂 He loves springtime too – watching the small birds collect his fur from a peanut feeder (I collect his fur during the year after grooming him.). It's sooo much fun watching the birds collect his fur to line their nests and fly off with a huge bundle of it which is often as large as they are (if not larger!). There's some sort of poetry there watching the birds collect the fur from one of their preditors to use to keep their babies warm! Ooh you must try one Choclette, I've wanted to make one for a few years now but was a little hesitant with the time it takes (let's be honest, it's not a quick bake!) and the prospect that it'd fall over but somebody must have been smiling down on me when I made it as I went up without any breakages (thanks to that second pair of hands). Hand on heart it was my first effort at making a gingerbread house, and I'm really pleased with how well it turned out. As a teen I used to love making my own boxes from scratch usually to house an unusually shape gift in – so I do seem to have a fondness for this type of thing though. 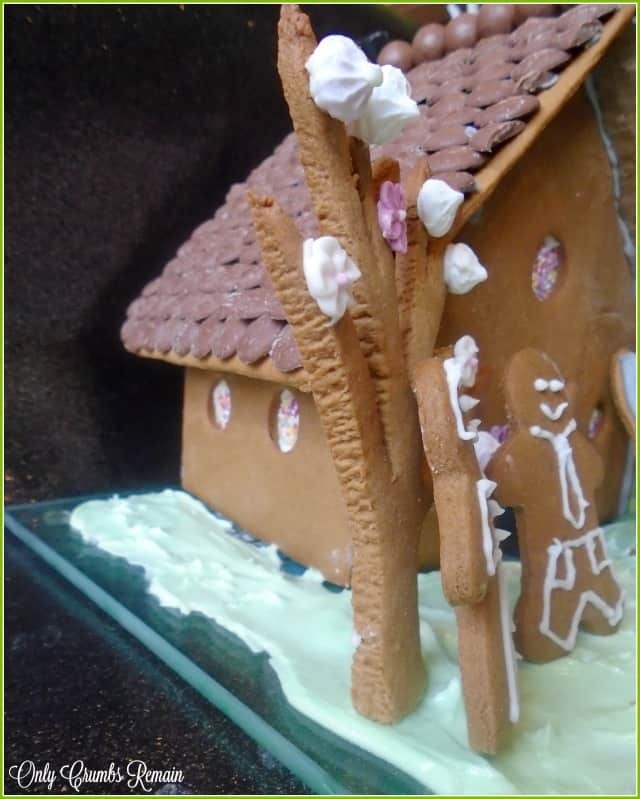 What an amazing creation Angela, I love the idea of,a spring gingerbread scene and think I'd make these all year round if I could do it as well as you! Aw thank you Lucy. I've always thought of a gingerbread house as being a festive type of bake, but having thought about the challenge GBBO set it can really be used for any number of themes. This is fantastic – it must have taken forever! Well done! Angela.. the button roof tiles are killing me!! I love them 🙂 all of the heart eye emojis on this one! Aw thank you so much Hazel 🙂 Those choc button tiles were fab – bit fit with my folks who have just helped us demolish the gingerbread house! It looks amazing! What an awesome effort. I definitely don't think I could have taken on this weeks showstopper! Thank you Michelle, to be honest I astonished myself with it too. If ever I decide to made one again it'll probably end up like a dogs dinner by me being overly confident with it and working too fast! I just took my time and enlisted OH in a couple of tasks whilst it was being put together. Aw thank you Jenny 🙂 I had planned on including a working swing in there too but the old grey cells forgot to make it! In hindsight I think there's enough in the 'garden' without it becoming overly cluttered. Thank you for your lovely comment Jenny, it was an absolute pleasure I thoroughly enjoyed making it. That looks amazing Angela! I have made a gingerbread house before at Christmas but it seemed like a lot of effort with just two of us here to eat it. Well done! Aw thank you Gina 🙂 I completely agree, it is a lot of effort – I was in the kitchen for most of the day creating it. I think that's what's put me off making them in the past as there is only Mr E & I to eat it, though we'll most probably share parts of the structure with my parents and neighbours.